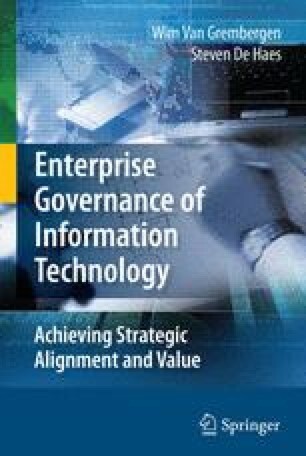 Val IT is a relatively new framework issued by the IT Governance Institute, which mainly focuses on the business responsibilities in IT value creation. This framework starts from the premise that value creation out of IT investments is a business responsibility in the first place. To support business people in organizing and developing these responsibilities, Val IT presents a set of IT-related business processes and associated key management practices, management guidelines and maturity models. Val IT is complementary to COBIT and follows the same structure and templates as provided in the COBIT manuals.